Sydney King Givens joined Dermatology Specialists of Alabama in 2017. She is a Dothan native and holds a master’s degree in Physician Assistant Studies from the University of Alabama at Birmingham and a bachelor’s degree from Samford University in Latin American Studies. 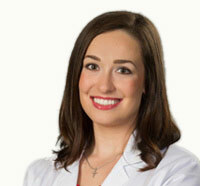 Sydney’s clinical experience includes general dermatology and plastic surgery. She is also a member of the American Academy of Physician Assistants and the Alabama Society of Physician Assistants.